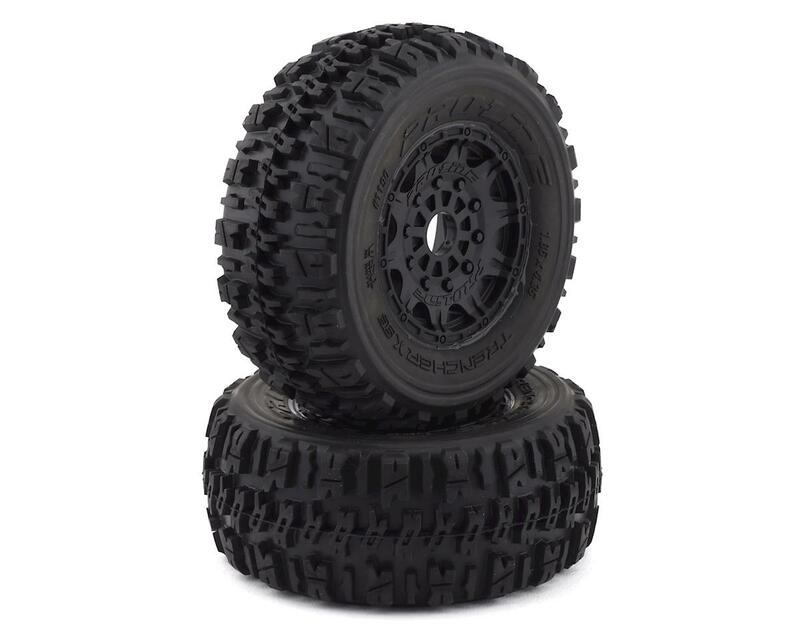 Pro-Line Trencher X SC Tires are designed to give your short course truck optimal traction on just about any surface. Realistic shaped treads give your truck a scale look while offering ridiculous amounts of forward bite. 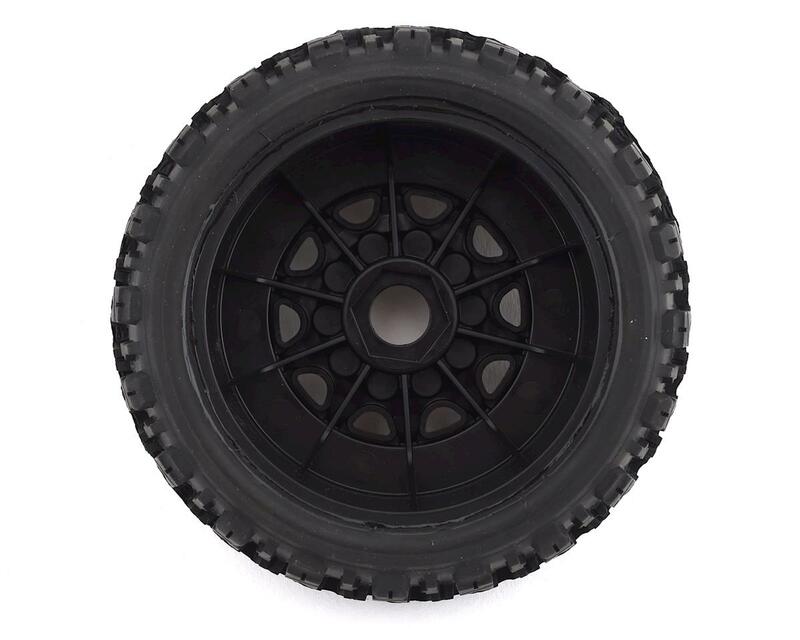 The tall tread will also offer traction in many different terrains and deliver durability that is second to none. The Trencher X improves on the original with extra width and even more stump pulling traction! 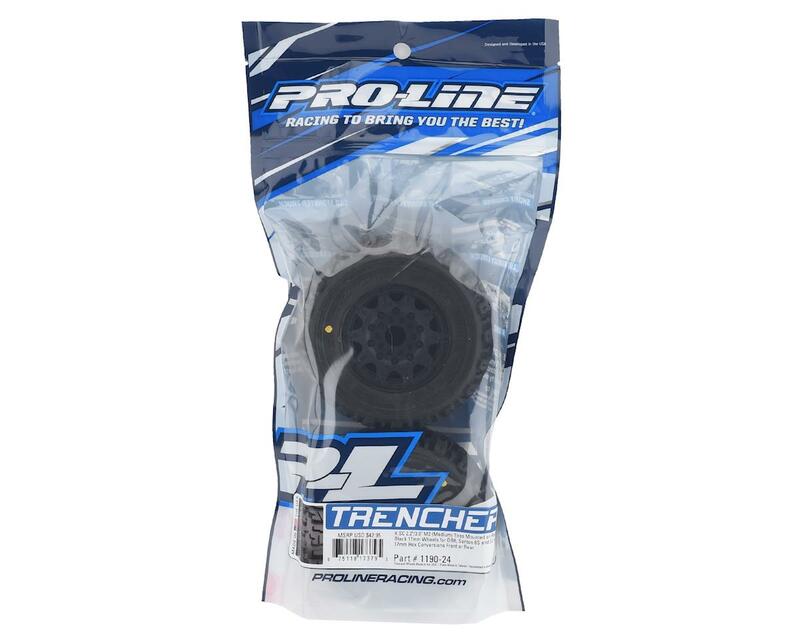 Glued by the Pros here at Pro-Line, the Trencher X Premounts also include closed cell inserts so if you are ready to get outside and tear up the terrain then get the Trencher X mounted on Raid wheels today!